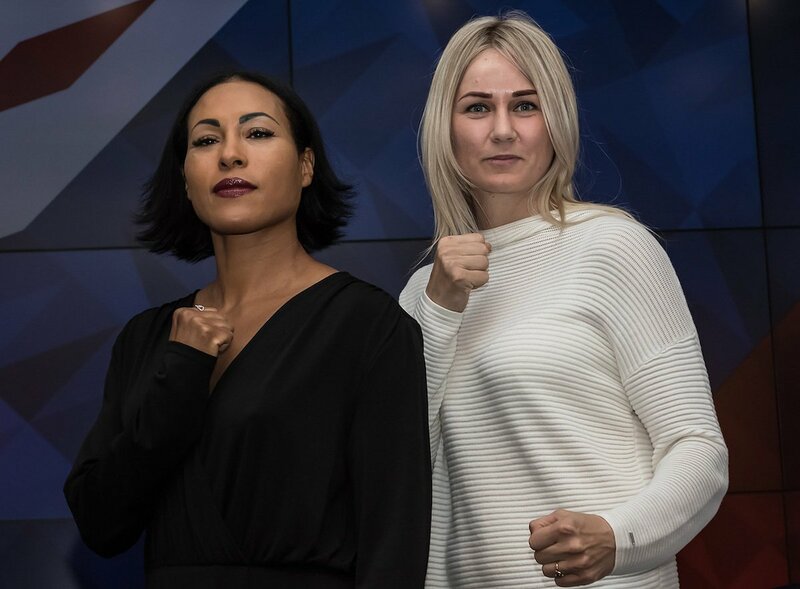 Photos/Russian Boxing Federation – Cecilia Braekhus, (33-0, 9 KO’s) defends her world titles against Undefeated WBC Interim Junior Middleweight Champion Inna Sagaydakovskya, (7-0-0, 3 KO’s), on Saturday, July 21 at the Olympic Stadium in Moscow, Russia, it was announced today at a press conference in the Russian capital attended by both women. Braekhus vs. Sagaydakovskya will be the chief support to the highly anticipated World Boxing Super Series Final between cruiserweight world champions Murat Gassiev of Russia and Alexander Usyk of Ukraine. The event takes place just six days after the final of the World Cup. “I’m very excited to be here today announcing my next fight,” said Braekhus who returns to battle following a tremendous performance in a decision victory over Kali Reis on May 5, 2018 at the StubHub Center in Carson, CA which garnered the second highest TV ratings in 2018 for a boxing match shown on premium cable in the United States. “This is a huge international event, a great event for women’s boxing. Oslo is not so far from Moscow and I believe many of my fans will be able to come to the fight. Braekhus has opened training camp in Kiev, Ukraine where she will prepare with her trainer Johnathon Banks until leaving for fight week in Moscow. Braekhus has held all of the sanctioning body world titles in the welterweight division since defeating Ivana Habazin in September 2013. Sagaydakovskya defeated Maria Lindberg on September 29, 2017 in Bilbao, Spain by ten-round decision to earn the vacant WBC Silver Women’s Super-Welterweight Title. In her next bout, she stopped Jennifer Retzke in the second round on December 30, 2017 in Almaty, Kazakhstan, winning the WBC Interim Women’s Super Welterweight Title.